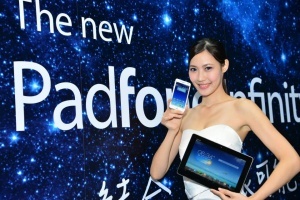 Welcome to the Padfone Wiki Page! Use the search button in the upper right corner of this page to find information. If you would like to contribute, click the edit button next to the search bar, or create a new page if it doesn't exist. The language of this wiki is English (If you would like to have a wiki in your own language, please contact us). Make sure that the information you post is based on facts and clear for the readers and added to the right page. This page was last modified on 24 June 2018, at 17:32.